If you are looking for a Cape Coral restaurant, Happy Hour or even Cape Coral seafood to enjoy fun times with friends for then come check us out. This Cape Coral seafood restaurant bar features more than just lobster. We have salmon whole belly clams, fried clams, lobster rolls clam chowder, calamari and more We are your neighborhood pub for fun,, happy hour and great food. 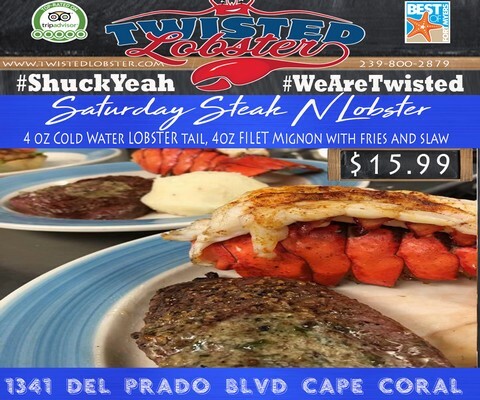 The best part about The Twisted Lobster Seafood Restaurant in Cape Coral, FL as a Cape Coral Seafood is that our daily specials are where we really excel. Come join us for our own lobster rolls and fried whole belly clams just like from New England on location. 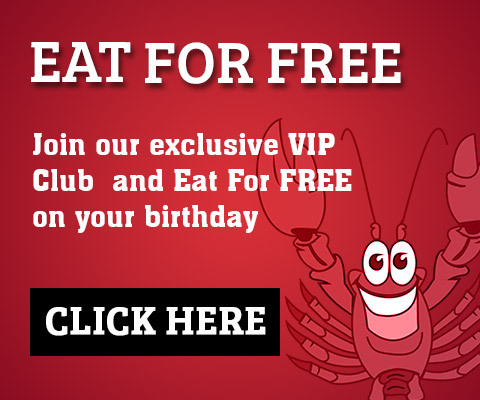 You will also find events going on daily from Cape Coral Seafood Happy Hour, Cape Coral Seafood Deals, Cape Coral restaurant lunch deals and more. This is the best Cape Coral Seafood for the lobster clam and seafood lover. You can have whole belly clams, lobster rolls and fresh fish , lunch, dinner, appetizers. We serve the freshest. Join us for Cape Coral Seafood Happy Hour every Tuesday, Wednesday, Thursday & Friday starting at 4pm. 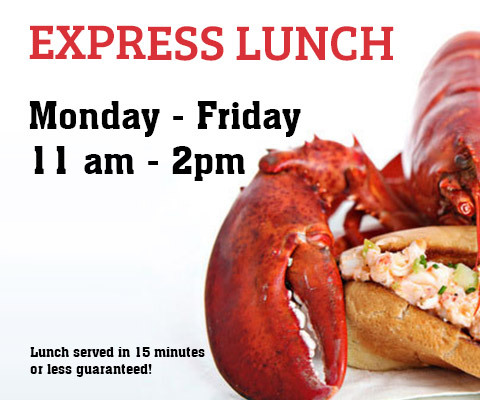 This Cape Coral Seafood restaurant has lunch specials daily. 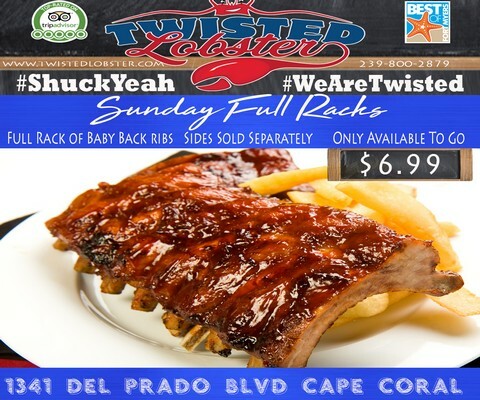 Visit Cape Coral Seafood, The Twisted Lobster seafood restaurant, open 6 days a week, you will be glad you did!